To sign up to the Hotels.com Newsletter, simply click the Request Newsletter button below and you will receive discount coupons, news about flash sales and access to Secret Prices. These are lower prices that aren't available to everyone. You'll get the best deals, sales and discounts sent directly to your inbox. You'll even get exclusive subscriber discount codes too - perfect for last minute inspiration or for getting the most value for your trip. Don't miss out - join 1,000,000s of hotel hoppers worldwide, and treat yourself to romantic escapes, family holidays or a whirlwind break whenever you need it. Hotels.com Newsletter Caroline K. said: Their newsletter is very good. 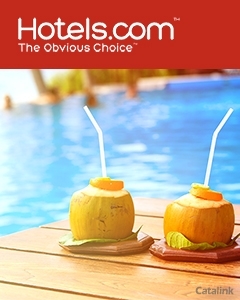 Hotels.com Newsletter Nicola R. said: Nice to be able to sit at home and look at the different hotels before deciding. By Pressing the Request Newsletter button you give Hotels.com (and their Data Processors for the specific purpose of delivering your emails) consent to send you their newsletter via email until such time as you choose to unsubscribe.